Keep a new collection of useful practical tips for any developer and publisher. Today we will analyze the design of the most “prominent” elements of your application in the App Store. While Apple reports about the next record sales of iPhones, and on the App Store spreads over a million mobile applications, beginning developers still tormented by only one question: how to stand out? In the mature mobile application market, this is not so easy, especially if you are “walking on your own” with a zero marketing budget. In this case, can only gain a unique idea and use of free tools to attract users to the maximum. With a large marketing budget. If you are still not from a timid ten and ventured out with your own project in the App Store, do not be lazy to use at most at least all available from free marketing tools. In practice, if you do not promote the product outside the app, for example, reviews, mobile advertising, etc. 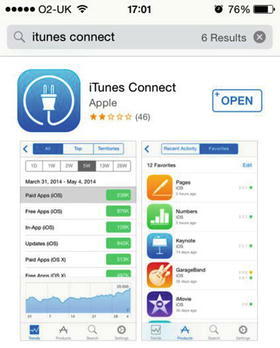 then, in fact, users will be able to download your product, exclusively from the search in the App Store. 3 On the desktop client iTunes: name, price, category App Store. It is known that the lion’s share of users is looking for, buying and downloading applications directly from their device. Therefore, to maximize the coverage of organic settings/purchases, it is important to make the icon, the title, the first two screenshots and, of course, the price attractive. Think over additional optimal keywords for words from the title. Do not duplicate. We assume that you have obtained the title and keywords for the search. We begin work on the next stage – the motivation of the user to buy, which was found by your application on the relevant request. On the images above, pay attention to the screenshot of the Apple Store on the iPad. Briefly and strictly on the case, and it is desirable about the personal benefit of the user – this is exactly what he expects to see – the quintessence of your project, especially if the application is free. The main recommendation here is to use the maximally informative screenshot first, for example, with the image of your logo and slogan, or add brief tips-hints. In addition, you can show several screenshots at once on one page to illustrate the essence of the product. As you know, if you do not praise yourself, then no one will praise. Remember this and do not hesitate to use pleasant and emotionally positive pictures, words and phrases. Emotions – that’s what drives the minds of people! And also their wallets … Just do not forget about the essence of your project. Another useful tip. Add device images to the layouts. This will help the user to feel the work of the application right on the screen of his favorite iPhone or iPad. Let’s check the theory in practice. I want to book a hotel for a holiday, which will be only after 3 months, earlier than and as profitable as possible. I am looking for an application on request “hotels”. Booking.com. Here there is no special information, just a screenshot of the familiar search on the site, and I need the best deals on hotels. Even better – with discounts. I’ll go further. TripAdvisor Hotels. Judging by the name, this application is for viewing recommendations and reviews, and I need low prices, although the screenshot shows an example of a hotel with a price. Perhaps I’ll look again. Hotellook. The title is not very clear, but here’s the screenshot “Search everywhere without a commission” plus the logos of the resources I know of Booking.com, Hotels.com, Expedia, Ostrovok.ru. Apparently, this is even steeper than results 1 and 3. It is not very clear what it means “without a commission”, but probably it’s something profitable, and the results have gone further irrelevant, most applications for the sale of air tickets. I’ll try! Aviasales. The name is quite telling. Not knowing the resource, I immediately think that this is about discounts – should be profitable. But here is the screenshot of “Searching for air tickets among 40 agencies” and there are logos of agencies that have already bought tickets for me, this adds credibility to the application, but to be honest, information about 40 agencies does not give me anything, I do not even know much it is or is not enough for the aggregator of air tickets. I go further. Cheap tickets from … 729. The name already says that the tickets are cheap. For me it is profitable. On the first screenshot: “The cheapest tickets from 990 rubles.” Interesting! Perhaps you need to install and try. Also, in my opinion, a good example of correct page layout is the applications I Downloader Pro, Ali Express Shopping, Flightradar24 Pro. Do not be lazy and always look at the experience of colleagues in the shop! For a free application, a good title and screenshots are a necessary and sufficient condition to get the user. In search, he most likely was looking for something specific, found your application. By the icon, the title and the first screenshot realized that this is exactly what he needs and here he is already yours – download the application and generate revenue! For paid applications, especially at a price higher than $ 1.99, users will probably want to see all the screenshots and they will not hesitate to study the detailed description of the product. But we have already discussed enough in the framework of one article. About the recommendations for writing the description read in the next series!